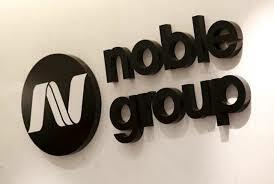 Noble Group Ltd has been made aware that a joint statement has been released on 20 November 2018 by the Commercial Affairs Department (CAD) of the Singapore Police Force, the Monetary Authority of Singapore (MAS) and the Accounting and Corporate Regulatory Authority (ACRA) regarding a joint investigation relating to suspected false and misleading statements and breaches of disclosure requirements under the Securities and Futures Act, Chapter 289 of Singapore by the company, and potential non-compliance with accounting standards under Section 201 of the companies Act, Chapter 50 of Singapore, by the company’s wholly-owned subsidiary, Noble Resources International Pte. Ltd (NRIPL). In this regard, the company has (through one of the company’s independent non-executive directors, David Yeow) received a letter dated 20 November 2018 from the CAD and the MAS requiring the company to provide access to, amongst others, documents relating to the accounting treatment, consolidation and reporting of certain contracts of the company and its subsidiaries for the financial years ended 31 December 2012 - 2017, as well as documents relating to the preparation and consolidation of the accounts of NRIPL. For the avoidance of doubt, the letter was addressed to the company in the care of David Yeow and not to Yeow in his own personal capacity. In addition, NRIPL has received a letter dated 20 November 2018 from the CAD and the MAS requiring NRIPL to provide access to, amongst others, documents and information relating to the preparation of NRIPL’s financial statements for the financial years ended 31 December 2012 to 2017. NRIPL has also received a letter dated 20 November 2018 from ACRA containing queries in relation to certain aspects of NRIPL’s financial statements for the financial years ended 31 December 2012 to 2016 and inviting NRIPL to provide its views on ACRA’s assessments as well as to furnish further information relating to the preparation of such financial statements. The company and NRIPL intend to cooperate fully with the authorities in their investigation. In particular, NRIPL intends to provide its views to ACRA on ACRA’s assessments set out in its letter. The company remains of the view that its proposed restructuring is in the best interests of all of the company’s stakeholders, including its creditors and shareholders. It will continue to work towards implementing its proposed restructuring within the previously disclosed timelines. The company will make further announcements as necessary.